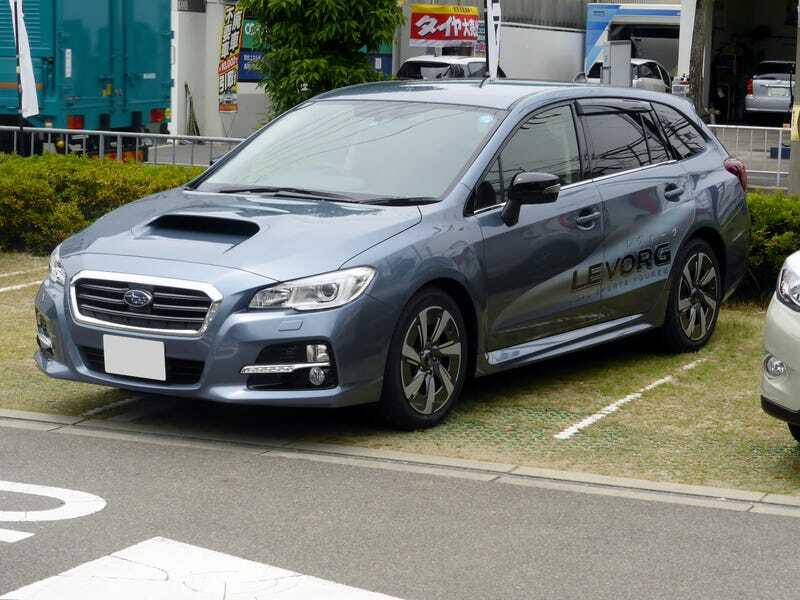 Subaru Levorg, a recent station wagon in Japanese Domestic Market. Some may argue if station wagons or estates are popular in Japan or not. But this is very questionable. The traditional station wagons were used to be popular in Japanese Domestic Market, but now, are they facing the outskirts of death? Have a history. Japanese carmakers were well known for fuel-efficient, yet sporty, station wagons since the nation’s surrender in World War II, but they aren’t mass produced in large numbers for JDM. Most of them are used as commercial vehicles, and a few are used as private vehicles. In the late 1970s and 1980s, however, the station wagons have become somewhat popular among lifestyle vehicle buyers, providing the benefits of fuel efficiency, sportiness and strong utility at that time. There were some popular examples such as Nissan’s Wingroad and Stagea, Toyota’s Corolla wagon, Honda’s Civic Shuttle, and most notably, Subaru’s Leone/Impreza wagons. There are many high-performance station wagons on the JDM, like Autech Stagea 260RS and Impreza WRX Wagon. In the early 2000s, when the Japanese buyers shifted from sportiness to utility, many station wagons were discontinued along with many Japanese sportscars. Some of the wagon victims, like the popular Stagea, were killed off and they are displaced by the rise of minivans (such as Toyota Estima and Nissan Serena, as well as car-based minivans such as Nissan Lafesta and Honda Stream) in the Japanese market. One notable example is Subaru, who replaced the wagon in the Impreza range with the hatchback version due to the decline of the wagons. Adding to an insult is the SUVs, which have been in JDM for a long time with the likes of Toyota Land Cruisers and Honda CR-Vs, have pushed the station wagons down the ladder. This could be because minivans and SUVs offer better space practicality for the Japanese buyers, and Japan doesn’t have very stringent restrictions for tall vehicles (2-metre tall is good enough) like those and vans. Well, the minivans and SUVs have been spying since 1980s, and ambushed the station wagons in turn of the millennium in JDM. Many Japanese carmakers such as Subaru, Honda and Suzuki, have shifted support from station wagons to minivans and SUVs. Now, with minivans and SUVs displaced the wagons as lifestyle recreational vehicles, there are only a few station wagons left, with Subaru Levorg, Mazda Atenza Wagon and Toyota Corolla Fielder being the last drive force for the station wagons in Japanese Domestic Market. It could be argued that station wagons should be reclassified as MPVs or not. But not many people think so. Some station wagons in Japan, like Toyota Prius Alpha, are not traditional station wagons, but car-based minivans (station wagon/minivan mashups). Can station wagon market survive in Japan from the outskirts of death? Or getting pushed off from Japanese cliffs by other recreational vehicle markets? Given that Japanese people are minivan maniacs like every other Asians, the station wagons might hardly survive in this Land of the Rising Sun, except a small cult following among a few Japanese buyers from small communities. But we might see.